An integral part of the firm since 1993, William (Will) L. Mack was promoted to executive vice president and principal in 2002. 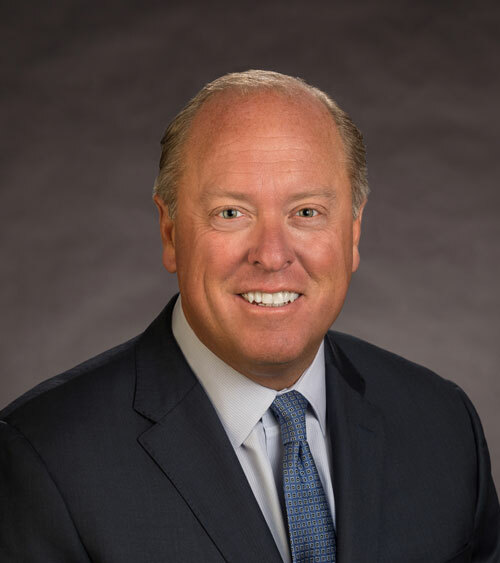 In 2015, he was named president, taking on the additional responsibilities of the firm’s organizational structure, short- and long-term strategic implementation and customer and community connectivity. In addition to his leadership position with LeChase, he is also responsible for the engagement and organization of two of the firm’s joint ventures—Conifer-LeChase Construction and Carolina LeChase—serving as managing partner for each and representing LeChase’s side of the business. A third-generation construction professional, Will entered the business at a very young age—journeying through the industry’s ranks during school breaks and later as a field engineer during college. Prior to joining the LeChase team, he worked at Edgewater Construction Co. and William J. McNeary Development Co. Will’s career of diverse expertise in project management, finance, real estate and business strategy now brings a wealth of knowledge and proven success to LeChase, and the skills he’s worked tirelessly to acquire are now used in planning the firm’s “get good work” strategy. Will is actively involved with several affiliations, both regionally and nationally. He currently serves on the board for the Mary Cariola Children’s Center and the YMCA of Greater Rochester. He is also a member of Vistage—an international peer-to-peer membership organization for business executives. Will is a former board member for Builders Exchange of Rochester and the Rochester Area Foundation for Multiple Sclerosis, as well as a former member of the Village of Fairport Planning Board. He also served alongside Bill Goodrich, LeChase CEO and managing partner, as co-executive leader of the American Heart Association’s 2015 Rochester Heart Walk, an annual community event that celebrates heart health and a commitment to take a stand against heart disease. Will’s education includes a B.S. degree in finance from Siena College. Additionally, he has participated in various trade- and industry-specific programs and training. Will leads the organization to focus every day on a common goal—a commitment to building strong partnerships with LeChase’s customers, employees and communities through safety, quality, innovation and values.